Our Wisdom will establish the Financial Plan for your individual situation, designed to achieve your long term goals by successfully by mapping out mini objectives to work towards along the way. We make sure you are on track to actually succeed at accomplishing your big picture strategy. We are there with you along the way to make sure the plan continues to work as your situation changes. Our experience gives us the insight to recommend the best path for you to take based on the stage you are at in your life and career. Our plans are always designed specifically for you and have your future in mind and at the same time ensuring your current lifestyle is maintained. 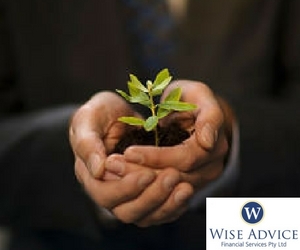 A Wise Advice Financial Services Pty Ltd financial advisers can help build you a financial plan that suits your financial and life goals. 02 9524 4224 or email us.